This is why many are turning to Weathermatic for all their irrigation needs. Weathermatic is an irrigation supply company that you can trust. They are a well-known, reputable supplier who has been around for quite some time. 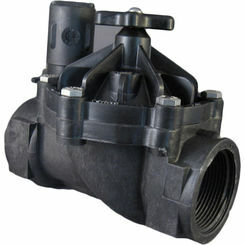 At PlumbersStock, we have a large selection of Weathermatic valves and other parts for almost any type of yard imaginable. Scroll through our many products today and discover what our Weathermatic parts can do for you. Why Is Efficient Irrigation Important? Did you know that a typical 1/2 acre property uses about 1 million gallons of water a year? On average, many properties exceed watering their landscapes by about 38%, and many properties overwater by as much as 60%. This not only wastes thousands of gallons of water, but it also makes for a pretty expensive water bill. At Weathermatic, their goal is to provide quality products that will help conserve water and keep individuals from overwatering. At PlumbersStock, we proud to carry the Weathermatic brand. We are always looking for ways to save our customers money while conserving energy costs. 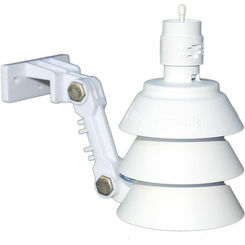 Here are some of the Weathermatic sprinkler products you will find here on PlumbersStock today. 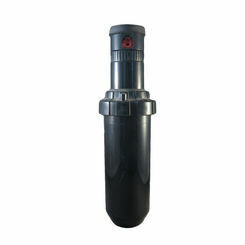 Sprinkler heads play an important role in the irrigation process. They spray out an adequate amount of water onto your grass to keep it growing healthy and strong. All of our Weathermatic sprinkler heads and accessories are designed to spray the perfect amount of water, so you don't find yourself way overwatering your landscape. You will love our large selection of timers and accessories. Our Weathermatic timers are unlike anything you have ever seen before. 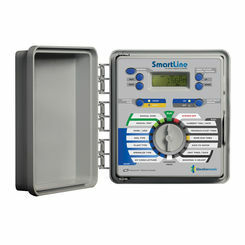 The Weathermatic SmartLine irrigation timer and controller can set up a zone for plant types, soil types, and even has solar radiation calculation. As you scroll through our Weathermatic controllers, you will be amazed at all the stunning things they can do. Have you ever had a sprinkler valve fail you in a time of need? Some individuals will go for weeks without realizing their valve is even broken and find themselves with yellow grass. When you purchase Weathermatic valves and accessories, you can feel a little more at peace knowing that your valve should last you for quite a long time. At PlumbersStock, you will find every type of sprinkler valve and accessory you could ever need. Weathermatic's goal is to reduce costs and conserve water. They are a US-owned and operated company that started in 1945. Their products have been installed in more than 70 countries and have even been featured in locations of great fame, like the U.S. Capitol Building, Buckingham Palace, and even the College Football Hall of Fame. They are the world's leading provider of Smart Irrigation Controllers and are a company you can trust for all your irrigation needs. At PlumbersStock, we know how important it is to have a reliable sprinklers. We have gone above and beyond to bring you some of the very best Weathermatic sprinkler parts on the internet today. If you are looking for an irrigation brand that will help you lower your water bill costs while conserving energy, the Weathermatic brand is it. Check out our site today to discover what Weathermatic can do for you. Learn more at Weathermatic.com.